Terminal-Befehle und AppleScripts die von Interesse in der 4D-Programmierung sein könnten. You can easily solve this by using an object as the root, instead an array object. The root object holds the id as the key and the settings object as the value. LAUNCH EXTERNAL PROCESS needs some help. you need to escape the backslash "\" by "\\". This means executing the command through a shell like this $cmd:="/bin/sh -c \""+$cmd+"\""
Want to connect with the currently logged in user when using a VNC viewer rather than seeing the Login Window (ARD 3.5/OS X 10.7 and later)? Quick Look is a delightfully simple way to browse the contents of the files on your Mac without launching their parent apps. (Select a file, press the space bar, that's it.) But if you’re looking at, say, a PDF or Word document, Quick Look can frustrate, because it doesn't provide any way to select and copy text; if you find a snippet of text you’d like to copy and paste, you still need to launch the parent app. Unless, that is, you know a secret shared by Keir Thomas. After a second or two, the Finder will restart. Once it does, you'll be able to select text in Quick Look previews and copy it to the Clipboard for use elsewhere. date liefert einen String dieser Art: "Mi 27 Jul 2011 12:55:39 CEST"
das liefert: "lrwxr-xr-x 1 root wheel 33 23 Jul 12:16 /etc/localtime -> /usr/share/zoneinfo/Europe/Berlin"
$Command:="ditto -c -k '"+$SourcePOSIXPath+"' '"+$ArchivePOSIXPath+"'"
--> Was ein oft ein gewolltes Ergebnis ist, wenn man Dateien austauschen will. store the full path (relative to the current directory). with names starting with ". ", since  the  recursion  does not  use the shell's file-name substitution mechanism. matches ".."  which will attempt to  zip  up  the  parent directory (probably not what was intended). any -R, -x, and -i wildcards are applied to internal archive pathnames once the directories are scanned. does wildcard  substitution,  either escape all wildcards or put all arguments with wildcards in quotes. This lets zip see the wildcards and match files in subdirectories using them as it recurses. Im Handbuch zur V12 findet sich: Under Windows, 4D Server can be launched as a Service. Compatibility note: This function is no longer available under Mac OS starting with version 12 of 4D Server. Wat Nu? AppleScript schreiben und dieses zum Startobjekt machen ist zumindest ein Workaround. mit allen Erlaubnissen, sonst fragt das OS nach, ob der Server eintreffende Verbindung akzeptieren darf. Ohne Erlaubnisse wäre also hinderlich. As we are/were experiencing the printing prompt for authentication when using 4D Client 2004.7 on Mac OS 10.6.x -- we've been given a solution by Jon Rhoades and passed on by Chiarelli Fabio that seems to have fixed the issue. Thank you Chiarelli and Jon!!! Mit einem Admin-Account ist der Spuk weg, mit einem einfachen Account nicht. Do you ever want or need to show all of OS X's hidden files? Change the 1 to 0 to toggle the display state. Better check CUPS from june 2013 first. If you want to set the printer preset from the terminal in 10.6 (or from an AppleScript via a 'do shell script' command), it's different than how it's done in previous versions of OS X. Just set the parameters to match your own needs. There are some command line switches which give you further control. You can also use it to split a pdf into separate one-page pdf's if required. Leider nicht so zu verwenden. Schade! Python : The function `CGPDFDocumentGetMediaBox' is obsolete and will be removed in an upcoming update. Unfortunately, this application, or a library it uses, is using this obsolete function, and is thereby contributing to an overall degradation of system performance. Please use `CGPDFPageGetBoxRect' instead. Fred Zelinsky hat eine Lösung gefunden. Hier zum Download die beiden Methoden Combine_Pdfs_BuildAS und Gen_CompileApplescript in Textfassung. I cannot remember exactly when, but I think OSX 10.6 made the call to CGPDFDocumentGetMediaBox obsolete and Apple actually did correct the scripts. Just take a look at the latest version. ein PS-file in ein PDF konvertieren. AppleScript fällt aus, denn leider ist Vorschau nicht scriptable. I have used many different methods over the years to print documents to PDFs from the command line. Some have been complicated sequences of pipes to and from groff, others required TeX, and occasionally I set up a "virtual" printer, simply to print to file. I recently read documentation for cups-pdf, however, and found that cupsfilter command is sufficient for most of my own tasks in its bare form! There are many ways to wrap this simple command even more conveniently, but I'll omit those here for now. The reason this method is ideal is because it uses built-in routines in OS X; any time you can take advantage of these, do, because many of the core technologies are significantly faster and more secure than third-party alternatives. ich sage: stimmt, geht aber trozdem. 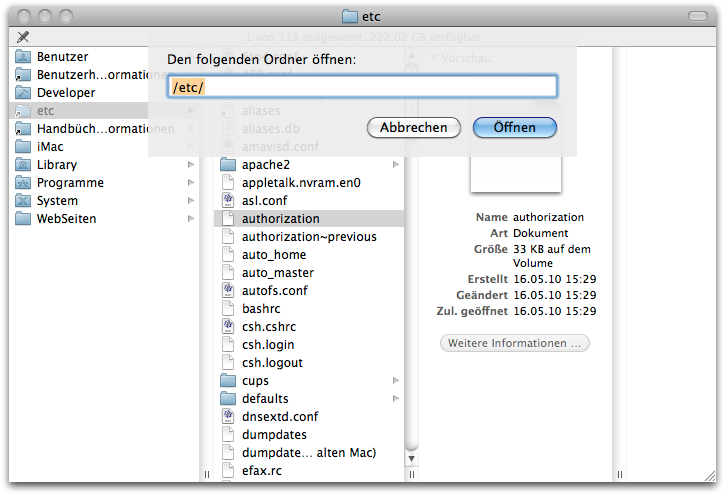 Das folgende ins ~/.bash_profile unter OSX eingetragen erweitert mir "man" durch "pman" (=PDF man) und ist klasse! Fazit: Einen File an open -f -a /Applications/Preview.app/; pipen und es wird ein PDF erzeugt und in Vorschau angezeigt. Dort kann es gespeichert oder verworfen werden. Can 4D Detect a USB device? This will return all info about the connected (and active) USB devices. You can investigate the result string if you know which info that particular printer has. system_profiler can return XML formatted data by using the -xml option. Quick Look from the command line! The >& /dev/null prevents output from displaying, and the & runs the process in the background so a new prompt displays on the terminal. John DeSoi What you probably want is to use the bundle identifier. That way you don't have to depend on the application path or name. You can find an application's bundle identifier in the info.plist file inside the application. Wenn man dann im Formular mit dem Popup die Überlange Zeile auswählt, dann rummst es wie gewünscht mit OS X-Dialog. Ich versuche mit 4D festzustellen, wie schnell ein Webserver antwortet. Here's a simple way to procedurally change the Print dialog window's "Presets" setting on Mac OS X. You are running Mac OS X. The chosen printer is already in place. You know ahead of time what the print dialog preset options name to be used is. $cmd:="defaults write com.apple.print.custompresets com.apple.print.lastPresetPref "
Just issue the following to disable the shadows. Use false instead of true to enable them. There are other cool screencapture preferences you can use as well. For example, you can set the capture format to JPEG, TIFF, or PNG using the following. Google around to discover more.